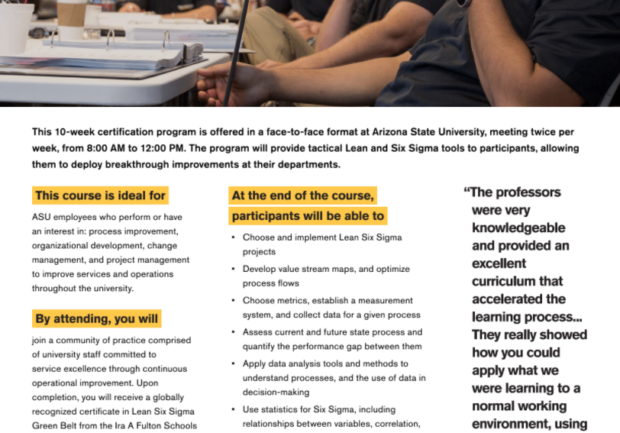 Are you an ASU employee who performs or has an interest in process improvement, organizational development, change management and project management to improve services and operations throughout the university? 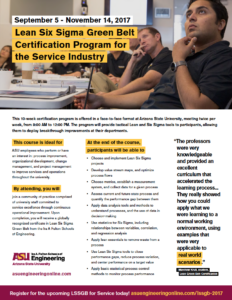 Take a 10-week certification offered in a face-to-face format at ASU, meeting twice per week from September 5, 2017 through November 14, 2017 from 8 a.m.–noon. 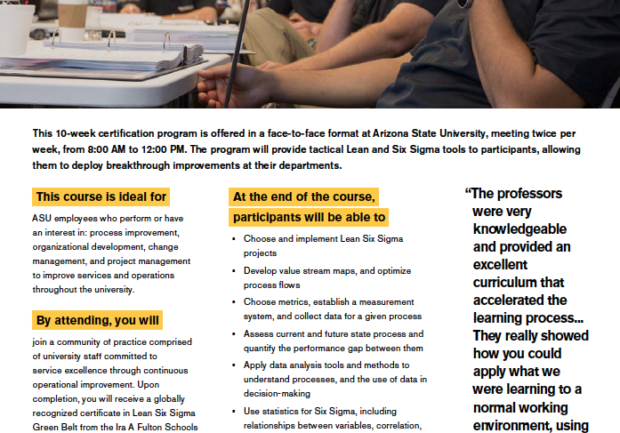 The program provides tactical Lean and Six Sigma tools to you, which allow you to deploy breakthrough improvements at your department.